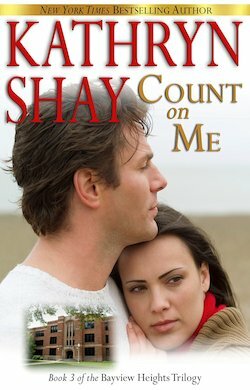 On her fortieth birthday, Zoe Caufield is expecting a marriage proposal but instead gets the news that Kurt Lansing, the love of her life, is going back to his ex-wife. Months later, Kurt is back in Bayview Heights. The reconciliation didn’t work, and he broke Zoe’s heart for nothing. However, when he starts a clinic in town and Zoe’s students will be working there for their community service requirement, she’s once again drawn to him. But lack of trust, protesting friends, and especially the students who love her, make their relationship impossible. Can anything bring these two people together? Emotional and heart-wrenching, the Bayview Heights trilogy ends with a winner.